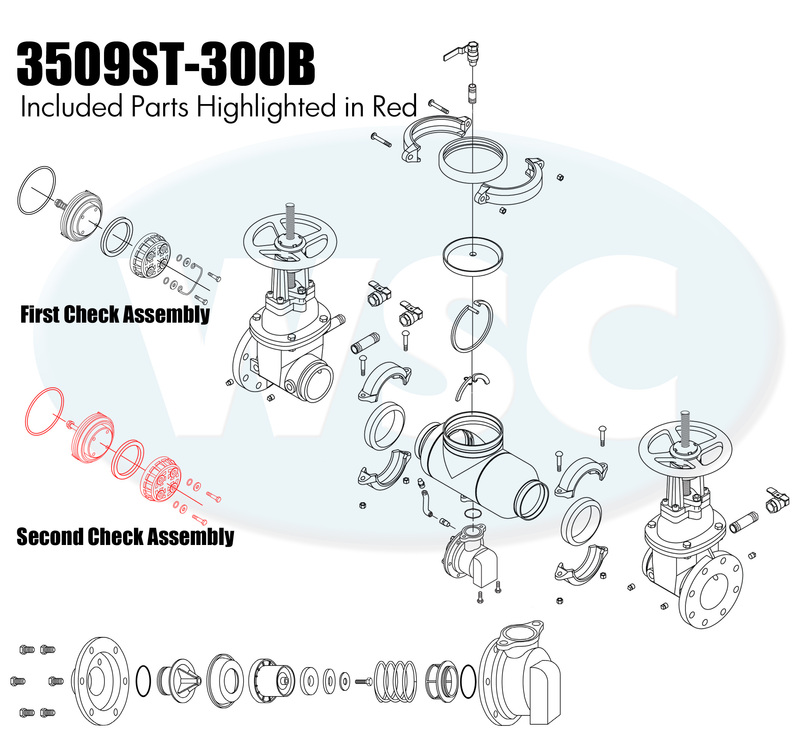 This is a second cam check for the Wilkins 375AST series reduced pressure zone assemblies. This is a complete check for the first check. The check is held in place by two spring loaded retainer clips. Use caution when removing retainers as they often break. Retainers included. Genuine Zurn/Wilkins repair parts. No special tools are required for servicing.